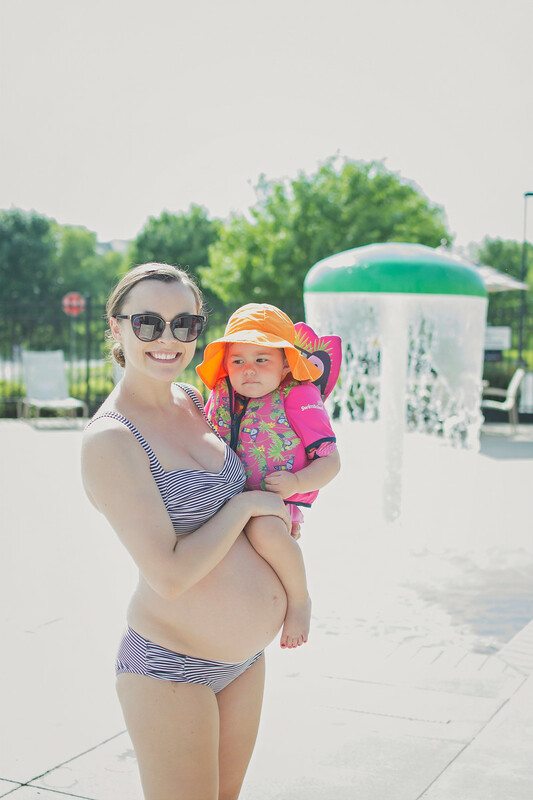 After we spent the morning exploring Minnehaha Falls (see that post here), we returned home for Ramsey's nap- and then packed up for the POOOOL! Not sure if I've said it before, but Zach & I are so obsessed with our neighborhood. It's so family friendly and I love all the conveniences that we're not used to having- such as the pool and a playground, and there are sidewalks everywhere so we can walk to and from the community clubhouse and get in a little exercise if we want. We've definitely taken advantage of the pool this summer, and I seriously never want fall to get here. 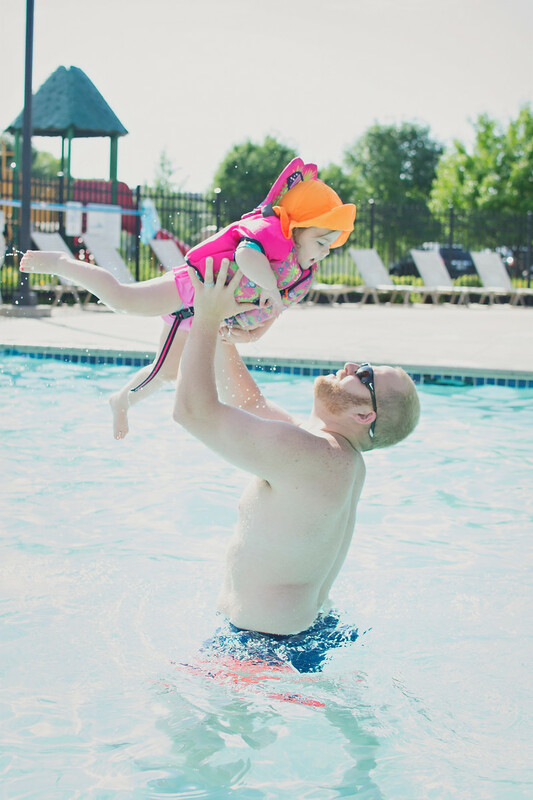 Summers in Minnesota are the absolute best, and I love all the quality time we've spent at the pool together as a family. 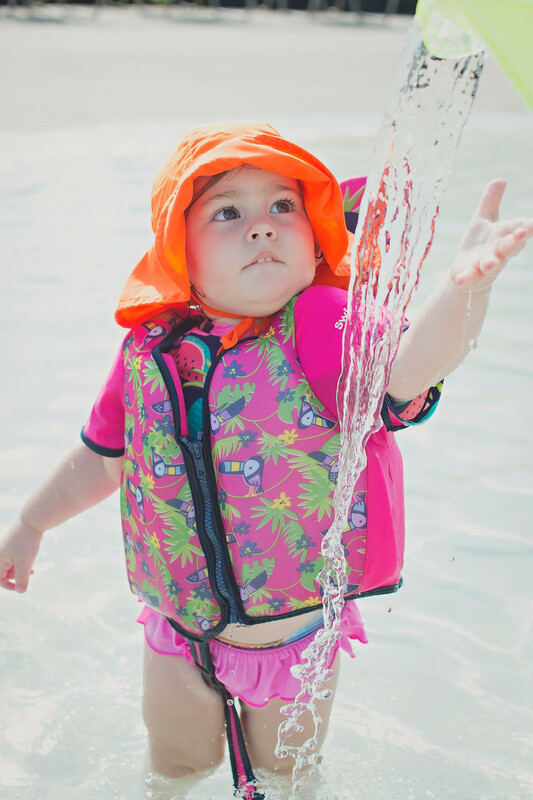 Ramsey is o-fish-ally a little swimmer in her floatie, and she's became so confident and brave. 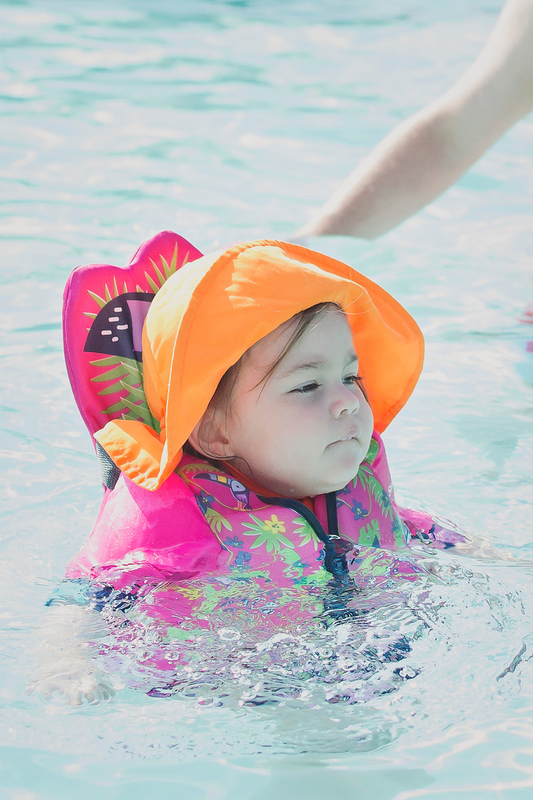 She pops right into the pool when Zach sits her up on the side, and she never wants anyone to help her. She's so incredibly independent and I couldn't be more proud of her.